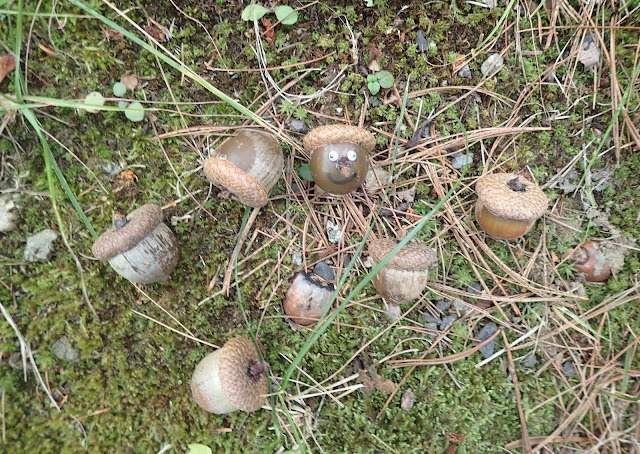 Here in Maine the local oaks throw off large acorns. Periodically, at our campsite, one will hit the roof of the camper with quite the volume of rebound. Pop! it goes. Then with a little rattle as it rolls off the roof. Apparently, some of these fellows have fun in doing this. Can you find the happy character in this field of suspects?